Synygy transforms sales and channel performance through sales strategy enablement, sales force motivation, sales channel effectiveness, and sales performance insight. What Sales Compensation solution do you use? Xactly Incent is the smart way to manage incentive compensation. It's web-based, automated approach replaces tedious, error-prone manual processes. CallidusCloud’s Commissions eliminates costly payment errors with automated commission calculation, models the impact of new incentives and plans resulting in tighter cash allocation, and manages retroactive changes to compensation plans. Software to Manage the most Complex and Global commission processes with Flexibility and Ease. QCommission is a powerful, flexible sales commission software. It calculates your sales people’s compensation accurately and reduces errors related to spreadsheets and manual methods. It allows you to calculate commissions as soon as the commission period is over and saves a lot of time. It can communicate calculated commissions in a detailed and clear manner. Performio is the stand-out incentive compensation software for companies who are serious about driving a high-performance culture. We are committed to measuring performance & rewarding sales teams and motivating people to strive for peak performance. Commissionly is the first cloud based sales commission software focused 100% on small to medium business. Vistex is pricing, contract, incentive management and channel marketing solutions and services. Makes it easy to administer every aspect of sales incentive programs - from design to implementation. And all participants get a beautiful dashboard. * We monitor all Synygy reviews to prevent fraudulent reviews and keep review quality high. We do not post reviews by company employees or direct competitors. Validated reviews require the user to submit a screenshot of the product containing their user ID, in order to verify a user is an actual user of the product. Hi there! 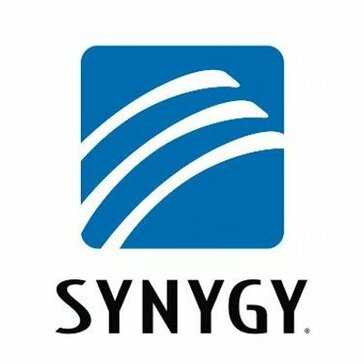 Are you looking to implement a solution like Synygy?